Summary Masked gunmen stormed the offices of satirical newspaper Charlie Hebdo in Paris opened fire， killing at least 12 people in what French authorities are calling the worst terror attack in four decades. 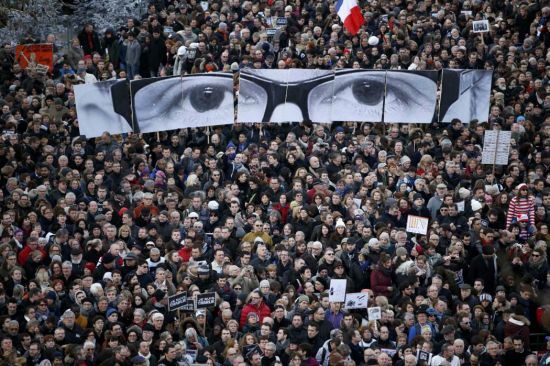 Dozens of world leaders joined hundreds of thousands of French citizens marching in Paris amid high security in an unpredecented tribute to victims of this week's Islamist militant attacks. Israeli Prime Minister Benjamin Netanyahu and Palestinian president Mahmud Abbas had their closest encounter in years on Sunday when they joined world leaders in a historic march against terrorism in Paris.